Grape seed extract has become popular in treating hair loss. Here are 7 reasons for its popularity. Many people are turning to holistic and natural treatments for treating their hair loss. 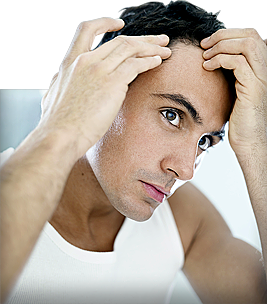 Hair loss herbs & Chinese hair loss herbs have become extremely common in recent years to treat hair loss. Another popular form of treatment is to alter the diet so that it contains more of the nutrients that are needed for healthy hair. This is also going to be a huge benefit for your health in general, as many of these treatments can also be used to treat other health issues. You will find all kinds of nutrients that can help to promote healthy hair growth and inhibit hair loss, and one of these is grape seed extract, which is easy to get and perfectly healthy for anyone to use. Grape seed extract refers to a set of derivatives made from whole grape seeds. 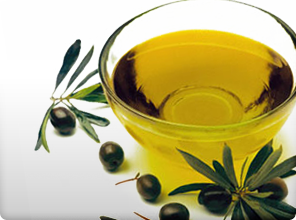 The extract is a concentrate of flavonoids, linoleic acid, Vitamin E and OPCs or oligomeric proanthocyanidins. The last two constituents are known to stop hair loss and promote hair regrowth. While interest in grape seed extract has recently been accelerating in mainstream medical research, the focus is placed on the antioxidant properties of the polyphenol content of the extract. There are encouraging indications that grape seed extract will be useful in the treatment of a long list of ailments including heart diseases, high blood pressure, high cholesterol levels, skin cancer and ultraviolet radiation damage to the skin, osteoporosis, tooth decay and edema. Grape seed extract is also indicated to speed wound healing and protect the liver. On the other hand, most of these uses which stem from the actions of the antioxidant polyphenols and the skin protection offered by proanthocyanidins also contribute to the mechanisms by which grape seed extract prevent hair loss and encourage hair regrowth. # 1 – The OPC’s (oligomeric proanthocyanidins) that are in grape seeds inhibit the production of DHT, one of the main factors in hair loss. The OPC’s also stimulate hair follicles, promoting healthy hair growth. # 2 -- When you use grape seed extract, not only is it excellent to treat hair loss, it can also help to “reverse” the effects of aging because of its detoxifying agents. You will notice that your skin looks healthier, which as we all know is going to make you look younger. You will also have healthier looking hair, something else that helps to keep you looking young. # 3 -- Grape seed extract lowers the amount of DHT in the hair follicles. This means that it will stimulate the follicles so they are healthy, allowing new, healthy hair to grow quickly. # 4 -- When you take grape seed extract, it can do a lot to help improve your cardiovascular system. It will increase blood circulation, so your body has plenty of oxygen and nutrition, which of course is going to help to promote healthy hair growth. # 5 – Grapeseed oil contains high levels of vitamin E and essential fatty acids that are important for healthy hair. These nutrients are rich in antioxidants and have anti-inflammatory properties that not only promote healthy hair growth but also are good for our overall health. # 6 – Grapeseed oil is easy to use, and can be taken orally or used as a topical solution. You will find a large variety of lotions and creams, and even some shampoos that contain grape seed oil available on the market today. # 7 -- Grapeseed oil can help to slow down the aging process, so when you use it, you will find that you look younger and healthier. It will help to keep your hair healthy and shiny and your skin glowing, which in turn is going to do wonders for your self-confidence. In addition to the many products containing this nutrient, grape seed extract is available in both liquid and capsule form and can be found in most health food stores, pharmacies, specialty food stores and online stores. If you decide to use it in the liquid form, you only need to use a small amount at a time to encourage healthy hair growth. There are multiple possible pathways by which grape seed extract promotes hair regrowth and reverses hair loss. The most important of these is the action of proanthocyanidins found in the grape seed extract. It inhibits the conversion of testosterone to dihydrotestosterone (DHT). Since high levels of DHT is a known cause of androgenic alopecia, grape seed extract can be used to reduce the rate of hair loss. Furthermore, proanthocyanidins act as growth stimulants for hair follicles. A recent study by Japanese researchers screened hundreds of plant extracts for their ability to reverse hair loss showed overwhelming proof of this hair follicle stimulating property. In fact, proanthocyanidins extracted from grape seeds not only stop hair loss but increased the growth of hair cells by over 200%. To achieve this feat, proanthocyanidins generated two anagen, or hair growth phases. Instead of the telogen phase during which the hair growth cycle shows no activity, proanthocyanidins produced another anagen phase, a twin-peak that led to rapid hair regrowth. The effectiveness of proanthocyanidins in hair regrowth is said to be similar to the drug, minoxidil. Other follow-up studies have confirmed this doubling of the anagen phase and rapid hair growth caused by proanthocyanidins. Grape seed extract also contributes to hair regrowth by promoting skin health. For example, the improved microcirculation in the capillaries close to the skin means that the cells of hair follicles are adequately perfused with nourishment and oxygen. This effect is further reinforced by the increased production of nitric oxide at these sites. Nitric oxide is a known vaso-relaxant which dilates the blood vessels improving blood circulation to the capillaries feeding skin cells and hair follicles. Lastly, there is the antioxidant property of grape seed extract which is rated to surpass those of Vitamin C and E.
By mopping up free radicals, grape seed extract provides anti-aging benefits and protects the integrity of hair follicle cells from oxidative damage allowing hair strands to last longer before falling off. Grape seed extract is supplied both as capsules and tablets of 50 mg and 100 mg strengths. Most people prefer the capsule form because the extract is bitter to taste. It is important to take a formulation of the extract that is labeled to contain greater than 90% OPC's and at least 40% proanthocyanidins. Preparations of grape seed extract usually include other compounds known to improve hair regrowth. Therefore, grape seed extracts are often formulated with other hair loss remedies such as extracts of saw palmetto, green tea, and zinc. Recommended daily intake of grape seed extract for hair loss and thinning is 200 mg taken in two divided doses. However, an upper limit of 450 mg per day is specified. Studies have shown that the extract is safe as long as recommended doses are followed. Still, a few side-effects have been reported. These include nausea, headache, dizziness and dry, itchy scalp. In addition, those on blood thinners should avoid grape seed extracts because the proanthocyanidin content inhibits platelet adhesion causing blood-thinning and longer clotting time.